'Lyoness' lie faces official exposure in Australia. Today's media release (posted below) from the 'Australian Competition Consumer Commission,' proudly declares that 'Lyoness' has been under investigation, and will be prosecuted, as a suspected illegal pyramid/ referral marketing scheme cleverly dissimulated behind a 'legal cash back' scheme. The same document reveals that agents of the 'ACCC' have not yet looked beyond the ends of their noses. Consequently, they still fail to acknowledge that the mystifying labyrinth of 'Lyoness' companies has merely been the corporate front for the latest version of an evolving, historically-significant, criminogenic phenomenon which can be accurately described as, blame-the-victim 'Multi-Level Marketing Income Opportunity' cultic racketeering. In reality, what has become popularly known as 'Multi-Level Marketing' is nothing more than an absurd, cultic, economic pseudo-science. The impressive-sounding made-up term 'MLM,' is, therefore, part of an extensive, thought-stopping, non-traditional jargon which has been developed, and constantly-repeated, by the instigators, and associates, of various, copy-cat, major, and minor, ongoing organized crime groups (hiding behind labyrinths of legally-registered corporate structures) to shut-down the critical, and evaluative, faculties of victims, and of casual observers (including regulators), in order to perpetrate, and dissimulate, a series of blame-the-victim closed-market swindles or pyramid scams (dressed up as 'legitimate direct selling income opportunites'), and related advance-fee frauds (dressed up as 'legitimate training and motivation, self-betterment, programs, leads,' etc.). The Australian Competition and Consumer Commission has instituted proceedings against Lyoness International AG, Lyoness Asia Limited, Lyoness UK Limited and Lyoness Australia Pty Limited (together ‘Lyoness’) for operating a pyramid selling scheme and engaging in referral selling. Although Lyoness has been investigated by regulators for conduct in other countries, this is the first court action taken against Lyoness alleging that the Lyoness Loyalty Program constitutes a pyramid scheme. Pyramid schemes involve new participants providing a financial or other benefit to other existing participants in the scheme. New participants are induced to join substantially by the prospect that they will be entitled to benefits relating to the recruitment of further new participants. Pyramid schemes may also offer products or services, but making money out of recruitment is their main aim, and often the only way for a member to recover any money is to convince other people to join up. In contrast, people in legitimate multi-level marketing schemes earn money by selling genuine products to consumers, not from the recruiting process. The ACCC alleges that Lyoness has operated the scheme in Australia from mid-2011 and that it continues to operate the scheme. The scheme offers ‘cash back’ rebates to members who shop through a Lyoness portal, use Lyoness vouchers or present their Lyoness card at certain retailers. Whilst cash back offers themselves are not prohibited by the Australian Consumer Law (ACL), the ACCC alleges that the Lyoness scheme also offers commissions to members who recruit new members who make a down payment on future shopping. “Pyramid schemes are often sophisticated and may be operated under the guise of a legitimate business. Although these schemes can appear to be legitimate, the most significant inducement for new members to get involved is to earn ‘residual’ or ‘passive’ income from new members signing up,” ACCC Chairman Rod Sims said. “The concern with pyramid schemes is that the financial benefits held out to induce potential members to join up rely substantially on the recruitment of further new members into the scheme. For these schemes to work so that everyone can make a profit, there would need to be an endless supply of new members." “Under the Australian Consumer Law, it is illegal not only to establish or promote a pyramid scheme, but also to participate in one in any capacity," Mr Sims said. The ACCC also alleges that the conduct by Lyoness breached the ACL prohibition on ‘referral selling’, where a consumer is induced to buy goods or services by the promise of a commission or rebate contingent on a later event. The ACCC is seeking declarations, pecuniary penalties, injunctions, an order requiring the Lyoness website to link to the case report and costs. As Lyoness International AG, Lyoness Asia Limited and Lyoness UK Limited are located overseas, the ACCC will be making arrangements for service on those entities. The first Directions Hearing in these proceedings will be at 9.30am on 16 September, 2014 before Justice Flick in Sydney. 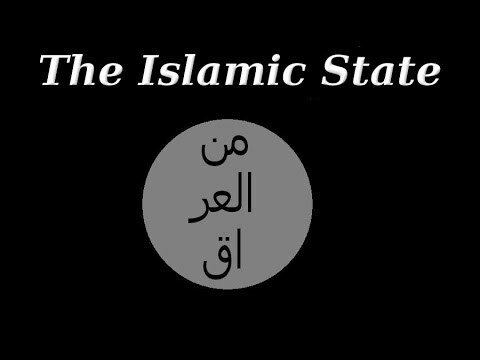 Was James Foley murdered by a cult? Radical changes of personality and behaviour. Pernicious cults can be of any size, duration and level of criminality. They comprise groups, and/or sub-groups, of previously diverse individuals bonded by their unconscious acceptance of the self-gratifying, but wholly imaginary, scenario that they alone represent a positive or protective force of purity and absolute righteousness derived from their leadership’s exclusive access to a superior or superhuman knowledge, and that they alone oppose a negative or adversarial force of impurity and absolute evil. Whilst this two-dimensional, or dualistic, narrative remains the adherents’ model of reality, they are, in effect, constrained to modify their individual personalities and behaviour accordingly. False justification. 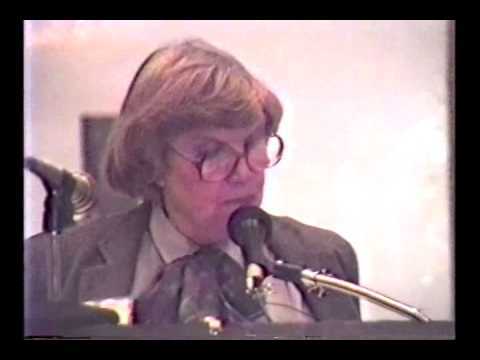 In pernicious cults, a core-group of adherents can be gradually dissociated from external reality and reformed into deployable agents, and/or de facto slaves, and/or expendable combatants, etc., furthering the hidden criminal objectives of their leaders, completely dependent on a collective paranoid delusion of absolute moral and intellectual supremacy fundamental to the maintenance of their individual self-esteem/identity and related psychological function. It becomes impossible for such fanatics to see humour in their situation or to feel pity for, or to empathise with, non-adherents. Their minds are programmed to interpret the manipulation, and/or cheating, and/or dispossession, and/or destruction, of inferior outsiders (particularly, those who challenge their group’s controlling scenario) as perfectly justifiable. 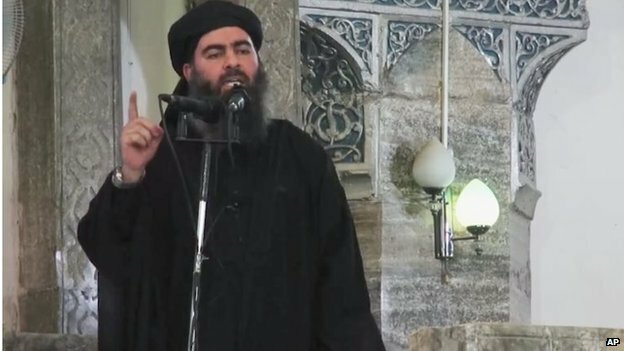 An organization ostensibly led by Abu Bakr al-Baghdadi, which claims to have volunteer fighters from all over the globe, has arbitrarily declared the establishment of a 'Caliphate' (an 'Islamic State') - comprising parts of Iraq and Syria, forcing many minority communities to flee their homes. 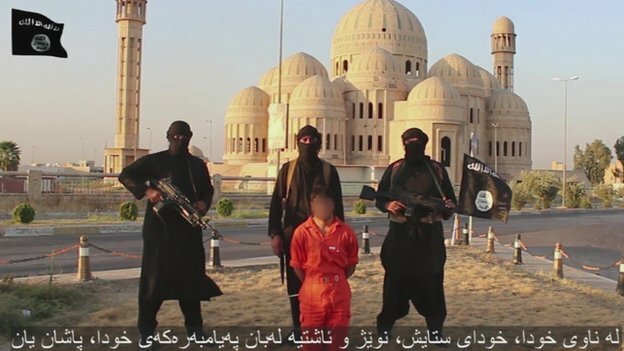 A United Nations report indictates that mass public executions have become a common sight in the 'Islamic State', this has been confirmed by media reports. It has been estimated that, during the past several years, well over 500 British citizens (many of whom have been teenage boys) have suddenly undergone radical personality transformations - abandoning their friends and families to travel to Syria and Iraq to become expendable combatants in a 'Jihad' (or Holy War) against 'Infidel' (or non-believers). A number of these self-righteous, young 'Jihadists' have then returned to Britain where the authorities fear that they remain in a dangerously-delusional state - unquestioning robots programmed to continue their leaders' imaginary struggle against the forces of evil (i.e. their fellow citizens). The US government says that only a small number of Americans have travelled to Syria to fight for extremist groups. The UK government was 'scoping out' what the UK might supply itself - such as night vision equipment, weapons and ammunition - although no specific request had yet been made. 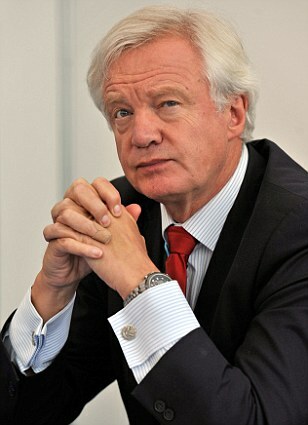 Senior Conservative Member of Parliament, David Davis. 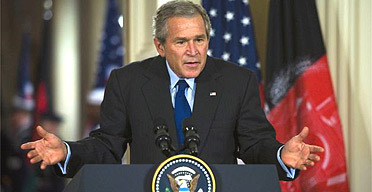 It would seem that members of the current British government, led by David Cameron, now realize that the much-vaunted 'Good vs Evil War on Terror' (a comic-book description coined by PR advisers to George W. Bush) is having completely the reverse effect to that which was advertized. As far as I'm aware, to date, no UK politician has demonstrated that he/she has a fully-deconstructed understanding of what has been instigated in Syria and Iraq, but then, successive British governments have been funding a group of academics at the London School of Economics who have sought to obstruct all intellectually-rigorous political/public debate of the cult/totalitarian phenomenon in Britain, for decades. Since 1989, UK tax-payers have been financing, via the UK government's Home Office, a registered charity known as 'INFORM,' housed at the London School of Economics, Dept. of Sociology. In recent years, 'INFORM' has been receiving around £140 000 annually of public funds. Part of this has been used to assemble a labyrinthine 'data base,' allegedly to provide free and objective, up-to-date information about 'cults and New Religious Movements,' for legislators, academics, law enforcement agents, members of the public, etc. 'Inform believes it is important to recognise that definitions are man-made decisions. Exactly what characteristics are "put together" under a label, and where the distinguishing boundaries are drawn between different phenomena, can vary from place to place and time to time. Furthermore, different people may use the same concept to refer to very different things. Sometimes a term is used merely to denote a negative or positive evaluation, rather than to tell us about the specific characteristics of the phenomenon. It is worth noting that most countries have no precise definition of the word "religion", nor is there a recognised definition in international law; however some institutions have their own working definitions and some countries have registers of recognized religions. Although "cult" and "sect" are used as technical terms by sociologists of religion, these terms have come to be used as pejorative labels in popular parlance, often telling us more about the attitude of the speaker than about the movement in question. No one is allowed to challenge the authenticity of anything labelled 'religious movement ,' whilst 'sociologists of religion' are the only people wise enough to define and use the terms, 'cult' and 'sect.' Therefore, anyone else employing them, is not to be trusted! Thus, through the constant repetition of the thought-stopping word, 'religion,' the obvious truth that (in the hands of narcissists and psychopaths) the phenomenon of self-perpetuating, non-rational, esoteric, ritual belief systems, can be easily perverted for the clandestine purpose of human exploitation, has been excluded from UK government policy for more than 20 years. Readers of this Blog should take note that, contrary to what the members of 'INFORM' have implied, no phenomenon can be accurately defined (arbitrarily or otherwise, and certainly not by a country). However, all phenomena have universal identifying characteristics. Indeed, as George Orwell proved, once you know how they work (by dissociating their exploited-victims from external reality whilst giving them the illusion that they are making free-choices) all totalitarian deceptions (which are reality-inverting constructions of twisted human minds) can be deconstructed by one universal allegory. 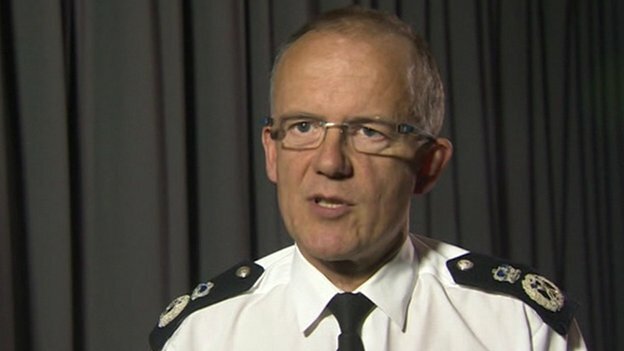 Sadly, whilst the members of all-encompassing organizations like 'INFORM' grudgingly accept that some crimes have been committed by the adherents of some 'religious movements,' they also continue to include in their 'doublethink' view of the cult/totalitarian phenomenon what narcissists and psychopaths claim to have been doing, in apparent ignorance of what they have actually been doing (i.e. steadfastly pretending moral and intellectual authority whilst pursuing various hidden criminal objectives - fraudulent, and/or sexual, and/or violent, etc.). In reality, the inflexible members of groups like 'INFORM' (who have obstructed and denigrated common-sense inquirers into the cult phenomenon) have been a significant part of the problem and not the solution to it. 'INFORM's' unjustifiable public-funding (which was recently reduced by 75%) is under further review. The only effective way to have challenged the cult/totalitarian phenomenon, would have been to educate our children as to exactly how it functions, but that would first require our leaders to admit to their own ignorance and then educate themselves. In 1961 (after many years of field-research, interviewing US servicemen held prisoner during the Korean War), Robert Jay Lifton (b. 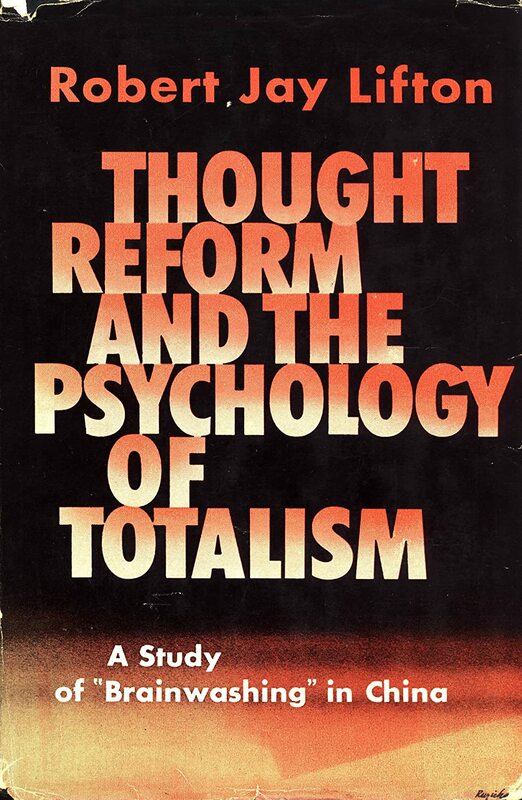 1926) published, ‘Thought Reform and the Psychology of Totalism.’ In this standard, medical text-book, Lifton identified 8 ‘themes’ which, if present in any group, indicate that its members are being subjected to a mixture of social, psychological and physical pressures, designed to produce radical changes in their individual beliefs, attitudes and behaviour. Potential new members are led, step by step, through a behavioural-change program without being aware of the final agenda or full content of the group. The goal may be to make them deployable agents for the leadership, to get them to buy more courses, or get them to make a deeper commitment, depending on the leader's aim and desires. The members serve as models of the attitudes and behaviours of the group and speak an in-group language. As the target's sense of powerlessness increases, their good judgement and understanding of the world are diminished (ordinary view of reality is destabilized). 4). Manipulate a system of rewards, punishments and experiences in such a way as to inhibit behaviour that reflects the person's former social identity. The target's old beliefs and patterns of behaviour are defined as irrelevant or evil. Leadership wants these old patterns eliminated, so the member must suppress them. Members get positive feedback for conforming to the group's beliefs and behaviours and negative feedback for old beliefs and behaviour. 5). The group manipulates a system of rewards, punishments, and experiences in order to promote learning the group's ideology or belief system and group-approved behaviours. Good behaviour, demonstrating an understanding and acceptance of the group's beliefs, and compliance are rewarded while questioning, expressing doubts or criticizing are met with disapproval, redress and possible rejection. Anyone who asks a question is made to feel there is something inherently disordered about them to be questioning. Members must learn varying amounts of new information about the beliefs of the group and the behaviours expected by the group. Esteem and affection from peers is very important to new recruits. Approval comes from having the new member's behaviours and thought patterns conform to the models (members). Members' relationship with peers is threatened whenever they fail to learn or display new behaviours. Over time, the easy solution to the insecurity generated by the difficulties of learning the new system is to inhibit any display of doubts—new recruits simply acquiesce, affirm and act as if they do understand and accept the new ideology. Conversion or remolding of the individual member happens in a closed system. As members learn to modify their behaviour in order to be accepted in this closed system, they change—begin to speak the language—which serves to further isolate them from their prior beliefs and behaviours. 4). Radical changes of personality and behaviour. Pernicious cults can be of any size, duration and level of criminality. They comprise groups, and/or sub-groups, of previously diverse individuals bonded by their unconscious acceptance of the self-gratifying, but wholly imaginary, scenario that they alone represent a positive or protective force of purity and absolute righteousness derived from their leadership’s exclusive access to a superior or superhuman knowledge, and that they alone oppose a negative or adversarial force of impurity and absolute evil. Whilst this two-dimensional, or dualistic, narrative remains the adherents’ model of reality, they are, in effect, constrained to modify their individual personalities and behaviour accordingly.